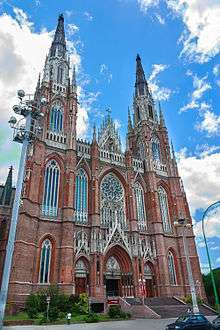 Gothic Revival (also referred to as Victorian Gothic, Neo-Gothic or Jigsaw Gothic, and when used for school, college, and university buildings as Collegiate Gothic) is an architectural movement that began in the late 1740s in England. 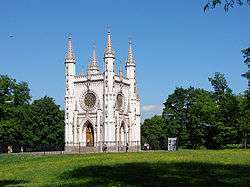 Its popularity grew rapidly in the early 19th century, when increasingly serious and learned admirers of neo-Gothic styles sought to revive medieval Gothic architecture, in contrast to the neoclassical styles prevalent at the time. Gothic Revival draws features from the original Gothic style, including decorative patterns, finials, scalloping, lancet windows, hood mouldings, and label stops. The Gothic Revival movement emerged in 19th-century England. Its roots were intertwined with deeply philosophical movements associated with a re-awakening of High Church or Anglo-Catholic belief concerned by the growth of religious nonconformism. Ultimately, the "Anglo-Catholicicism" tradition of religious belief and style became widespread for its intrinsic appeal in the third quarter of the 19th century. 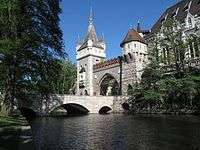 Gothic Revival architecture varied considerably in its faithfulness to both the ornamental style and principles of construction of its medieval original, sometimes amounting to little more than pointed window frames and a few touches of Gothic decoration on a building otherwise on a wholly 19th-century plan and using contemporary materials and construction methods. In parallel to the ascendancy of neo-Gothic styles in 19th-century England, interest spread rapidly to the continent of Europe, in Australia, Sierra Leone, South Africa and to the Americas; indeed the number of Gothic Revival and Carpenter Gothic structures built in the 19th and 20th centuries may exceed the number of authentic Gothic structures that had been built previously. The Gothic Revival was paralleled and supported by "medievalism", which had its roots in antiquarian concerns with survivals and curiosities. As "industrialisation" progressed, a reaction against machine production and the appearance of factories also grew. Proponents of the picturesque such as Thomas Carlyle and Augustus Pugin took a critical view of industrial society and portrayed pre-industrial medieval society as a golden age. 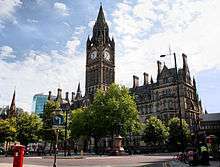 To Pugin, Gothic architecture was infused with the Christian values that had been supplanted by classicism and were being destroyed by industrialisation. 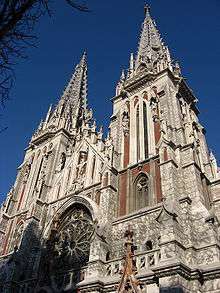 Gothic Revival also took on political connotations; with the "rational" and "radical" Neoclassical style being seen as associated with republicanism and liberalism (as evidenced by its use in the United States and to a lesser extent in Republican France), the more spiritual and traditional Gothic Revival became associated with monarchism and conservatism, which was reflected by the choice of styles for the rebuilt government centres of the Parliament of the United Kingdom in London and Parliament Hill in Ottawa. Gothic architecture began at the Basilica of Saint Denis near Paris, and the Cathedral of Sens in 1140 and ended with a last flourish in the early 16th century with buildings like Henry VII's Chapel at Westminster. 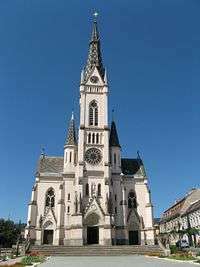 However, Gothic architecture did not die out completely in the 16th century but instead lingered in on-going cathedral-building projects; at Oxford and Cambridge Universities, and in the construction of churches in increasingly isolated rural districts of England, France, Spain, Germany, and the Polish–Lithuanian Commonwealth. Likewise, Gothic architecture survived in an urban setting during the later 17th century, as shown in Oxford and Cambridge, where some additions and repairs to Gothic buildings were considered to be more in keeping with the style of the original structures than contemporary Baroque. Sir Christopher Wren's Tom Tower for Christ Church, University of Oxford, and, later, Nicholas Hawksmoor's west towers of Westminster Abbey, blur the boundaries between what is called "Gothic survival" and the Gothic Revival. German Romanticists (such as philosopher and writer Goethe and architect Karl Friedrich Schinkel), began to appreciate the picturesque character of ruins — "picturesque" becoming a new aesthetic quality — and those mellowing effects of time that the Japanese call wabi-sabi and that Horace Walpole independently admired, mildly tongue-in-cheek, as "the true rust of the Barons' wars." The "Gothick" details of Walpole's Twickenham villa, Strawberry Hill House begun in 1749, appealed to the rococo tastes of the time, and were fairly quickly followed by James Talbot at Lacock Abbey, Wilts. 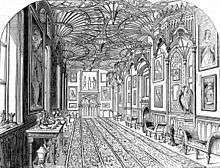 By the 1770s, thoroughly neoclassical architects such as Robert Adam and James Wyatt were prepared to provide Gothic details in drawing-rooms, libraries and chapels and William Beckford's romantic vision of a Gothic abbey, Fonthill Abbey in Wiltshire. A younger generation, taking Gothic architecture more seriously, provided the readership for J. Britten's series of Cathedral Antiquities, which began appearing in 1814. In 1817, Thomas Rickman wrote an Attempt... to name and define the sequence of Gothic styles in English ecclesiastical architecture, "a text-book for the architectural student". Its long antique title is descriptive: Attempt to discriminate the styles of English architecture from the Conquest to the Reformation; preceded by a sketch of the Grecian and Roman orders, with notices of nearly five hundred English buildings. The categories he used were Norman, Early English, Decorated, and Perpendicular. It went through numerous editions and was still being republished by 1881. Throughout the 19th and early 20th century, Gothic Revival was used across Europe, throughout the British Empire, and in the United States for public buildings and homes for the people who could afford the style, but the most common use for Gothic Revival architecture was in the building of churches. 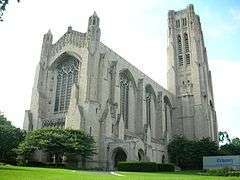 Churches all over in the countries that were influenced by the Gothic Revival, small and large, whether isolated in small settlements or in the big city, there is at least one church done in Gothic Revival style. 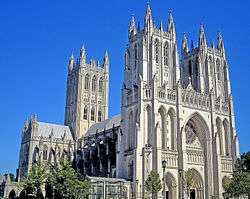 The largest and most famous Gothic cathedrals in the U.S.A. are St. Patrick's Cathedral in New York City and Washington National Cathedral (also known as "the Cathedral Church of Saints Peter and Paul") on Mount St. Alban in northwest Washington, D.C.. One of the biggest churches in Gothic Revival style in Canada is Basilica of Our Lady Immaculate in Ontario. 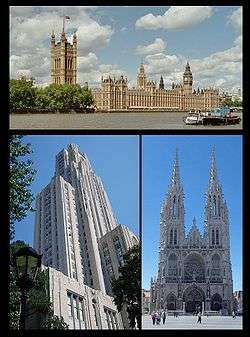 Gothic Revival architecture was to remain one of the most popular and long-lived of the Gothic Revival styles of architecture. 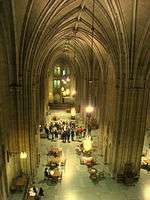 Although Gothic Revival began to lose force and popularity after the third quarter of the 19th century in the commercial, residential and industrial fields, some buildings such as churches, schools, colleges and universities were still constructed in the Gothic style (here often known as "Collegiate Gothic" style) which remained popular in England, Canada and in the United States (the United States has the most of Gothic Revival style architecture for Schools and Colleges/Universities) until well into the early to mid-20th century. 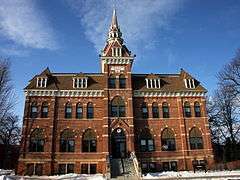 Only when new materials, like steel and glass along with concern for function in everyday working life and saving space in the cities, meaning the need to build up instead of out, began to take hold did the Gothic Revival start to disappear from popular building requests. 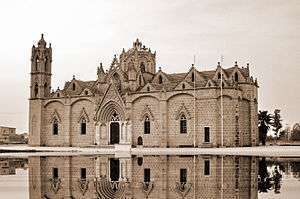 The revived Gothic style was not limited to architecture. Classical Gothic buildings of the 12th to 16th Centuries were a source of inspiration to 19th-century designers in numerous fields of work. 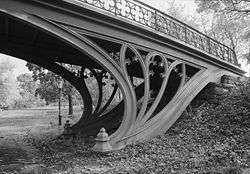 Architectural elements such as pointed arches, steep-sloping roofs and fancy carvings like lace ant lattice work were applied to a wide range of Gothic Revival objects. Some examples of Gothic Revivals influence can be found in heraldic motifs in coats of arms, painted furniture with elaborate painted scenes like the whimsical Gothic detailing in English furniture is traceable as far back as Lady Pomfret's house in Arlington Street, London (1740s), and Gothic fretwork in chairbacks and glazing patterns of bookcases is a familiar feature of Chippendale's Director (1754, 1762), where, for example, the three-part bookcase employs Gothic details with Rococo profusion, on a symmetrical form. 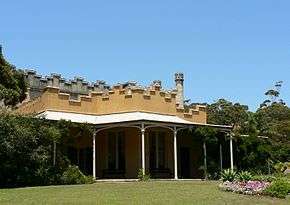 Sir Walter Scott's Abbotsford exemplifies in its furnishings the "Regency Gothic" style. Gothic Revival also includes the reintroduction of medieval clothes and dances in historical reenactments staged among historically-interested followers, especially in the second part of the 19th century, and which have been revived over a hundred years later in the popularity of so-called "renaissance fairs/festivals" in several states (such as in Maryland, Pennsylvania and Virginia). Parties in medieval historical dress and entertainment were popular among the wealthy in the 1800s but has spread in the late 20th century to the well-educated middle class as well. In 1847, 8,000 British crown coins were minted in proof condition with the design using an ornate reverse in keeping with the revived style. Considered by collectors to be particularly beautiful, they are known as 'Gothic crowns'. The design was repeated in 1853, again in proof. A similar, two shilling coin, the 'Gothic florin' was minted for circulation from 1851 to 1887. 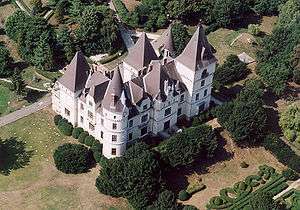 French neo-Gothic had its roots in the French medieval Gothic architecture, where it was created in the 12th century. 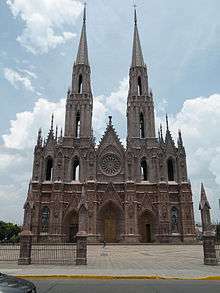 Gothic architecture was sometimes known during the medieval period as the "Opus Francigenum", (the "French Art"). French scholar Alexandre de Laborde wrote in 1816 that "Gothic architecture has beauties of its own", which marked the beginning of the Gothic Revival in France. Starting in 1828, Alexandre Brogniart, the director of the Sèvres porcelain manufactory, produced fired enamel paintings on large panes of plate glass, for King Louis-Philippe's royal chapel at Dreux. It would be hard to find a large, significant commission in Gothic taste that preceded this one, save for some Gothic features in a handful of jardins paysagers. 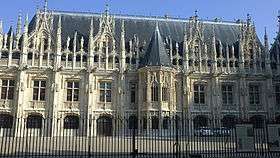 The French Gothic Revival was set on sounder intellectual footings by a pioneer, Arcisse de Caumont, who founded the Societé des Antiquaires de Normandie at a time when antiquaire still meant a connoisseur of antiquities, and who published his great work on architecture in French Normandy in 1830 (Summerson 1948). The following year Victor Hugo's historical romance novel Hunchback of Notre Dame appeared, in which the great Gothic cathedral of Paris was at once a setting and a protagonist in a hugely popular work of fiction. Hugo intended his book to awaken a concern for the surviving Gothic architecture left in Europe, however, rather than to initiate a craze for neo-Gothic in contemporary life. In the same year that Notre-Dame de Paris appeared, the new French restored Bourbon monarchy established an office in the Royal French Government of Inspector-General of Ancient Monuments, a post which was filled in 1833 by Prosper Merimée, who became the secretary of a new Commission des Monuments Historiques in 1837. This was the Commission that instructed Eugène Viollet-le-Duc to report on the condition of the Abbey of Vézelay in 1840. Following this, Viollet le Duc set to restore most of the symbolic buildings in France including Notre Dame de Paris, Vézelay, Carcassonne, Roquetaillade castle, the famous Mont Saint-Michel on its peaked coastal island, Pierrefonds, and Palais des Papes in Avignon. 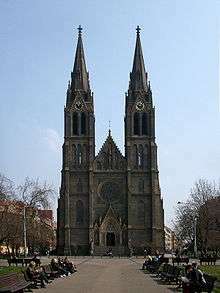 When France's first prominent neo-Gothic church was built, the Basilica of Saint-Clotilde, Paris, begun in September 1846 and consecrated 30 November 1857, the architect chosen was, significantly, of German extraction, François-Christian Gau, (1790–1853); the design was significantly modified by Gau's assistant, Théodore Ballu, in the later stages, to produce the pair of flèches that crown the west end. 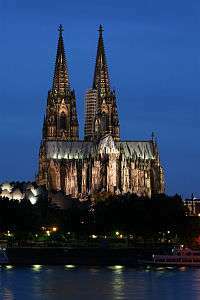 Meanwhile, in Germany, interest in the Cologne Cathedral, which had begun construction in 1248 and was still unfinished at the time of the revival, began to reappear. 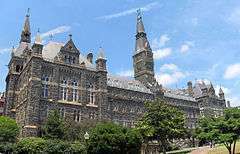 The 1820s "Romantic" movement brought back interest, and work began once more in 1842, significantly marking a German return of Gothic architecture. 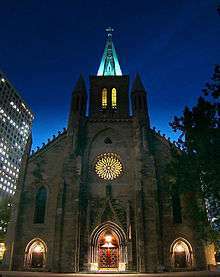 In the United States, the first "Gothic stile" church (as opposed to churches with Gothic elements) was Trinity Church on the Green, New Haven, Connecticut. It was designed by the prominent American Architect Ithiel Town between 1812 and 1814, even while he was building his Federalist-style Center Church, New Haven right next to this radical new "Gothic-style" church. Its cornerstone was laid in 1814, and it was consecrated in 1816. It thus predates St Luke's Church, Chelsea, often said to be the first Gothic-revival church in London, by a decade. Though built of trap rock stone with arched windows and doors, parts of its Gothic tower and its battlements were wood. 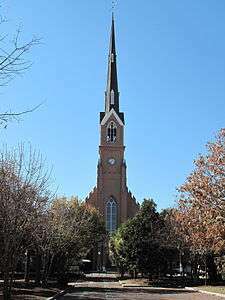 Gothic buildings were subsequently erected by Episcopal congregations in Connecticut at St. John's in Salisbury (1823), St. John's in Kent (1823–26), St. Andrew's in Marble Dale (1821–23). These were followed by Town’s design for Christ Church Cathedral (Hartford, Connecticut) (1827), which incorporated Gothic elements such as buttresses into fabric of the church. St. Paul's Episcopal Church in Troy, New York, was constructed in 1827–1828 as an exact copy of the Town's design for Trinity Church, New Haven, but using local stone; due to changes in the original, St. Paul's is closer to Town's original design than Trinity itself. 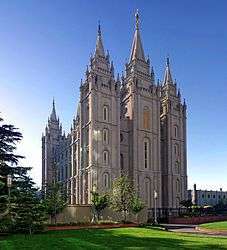 In the 1830s, architects began to copy specific English Gothic and Gothic Revival Churches, and these “mature Gothic Revival” buildings “made the domestic Gothic style architecture which preceded it seem primitive and old-fashioned.” Since then, Gothic Revival architecture has spread to thousands of churches and Gothic-revival buildings across America. There are many examples of Gothic Revival architecture in Canada. The first major Gothic Revival structure in Canada was Notre-Dame Basilica in Montreal, which was designed in 1824. During the War of 1812 many homesteads along the St. Lawrence River were destroyed. Most of the homes were built in the Georgian style; after their destruction they were rebuilt in the Gothic Revival or "Jigsaw Gothic" style. 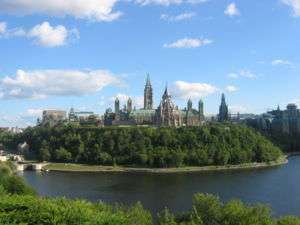 The capital city of Ottawa is full of Gothic Revival architecture. 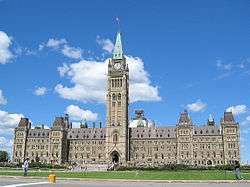 The Parliament Hill buildings which was built in the last decades of the 19th century was built in the Gothic Revival style, as were many other buildings in the city and outlining areas show how popular the Gothic Revival movement had become. Other examples of Canadian Gothic Revival architecture are the Victoria Memorial Museum, (1905–08), the Royal Mint, (1905–08), and Connaught Building, (1913–16), all in Ottawa by David Ewart. Pugin's most famous project is The Houses of Parliament in London. His part in the design consisted of two campaigns, 1836–1837 and again in 1844 and 1852, with the classicist Charles Barry as his nominal superior (whether the pair worked as a collegial partnership or if Barry acted as Pugin's superior is not entirely clear). 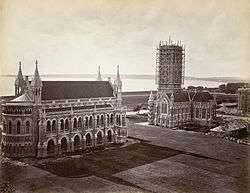 Pugin provided the external decoration and the interiors, while Barry designed the symmetrical layout of the building, causing Pugin to remark, "All Grecian, Sir; Tudor details on a classic body". John Ruskin supplemented Pugin's ideas in his two hugely influential theoretical works, The Seven Lamps of Architecture (1849) and The Stones of Venice (1853). Finding his architectural ideal in Venice, Ruskin proposed that Gothic buildings excelled above all other architecture because of the "sacrifice" of the stone-carvers in intricately decorating every stone. By declaring the Doge's Palace to be "the central building of the world", Ruskin argued the case for Gothic government buildings as Pugin had done for churches, though only in theory. When his ideas were put into practice, Ruskin despised the spate of public buildings built with references to the Ducal Palace, including the University Museum in Oxford. St Luke's Church, Chelsea was a new-built Commissioner's Church of 1820–24, partly built using a grant of £8,333 towards its construction with money voted by Parliament as a result of the Church Building Act of 1818. It is often said to be the first Gothic Revival church in London, and, as Charles Locke Eastlake put it: "probably the only church of its time in which the main roof was groined throughout in stone". 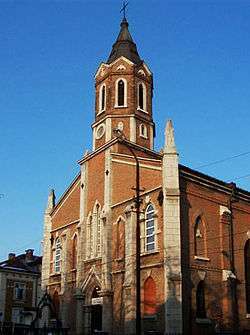 Nonetheless, the parish was firmly Low Church, and the original arrangement, modified in the 1860s, was as a "preaching church" dominated by the pulpit, with a small altar and wooden galleries over the nave aisle. If France had lagged slightly in entering the neo-Gothic scene, she produced a giant of the revival in Eugène Viollet-le-Duc. As well as a powerful and influential theorist, Viollet-le-Duc was a leading architect whose genius lay in restoration. 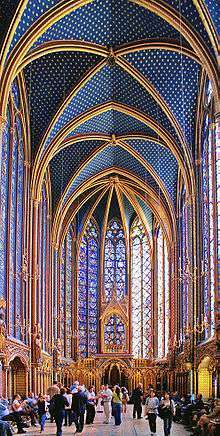 He believed in restoring buildings to a state of completion that they would not have known even when they were first built, theories he applied to his restorations of the walled city of Carcassonne, and to Notre-Dame and Sainte Chapelle in Paris. In this respect he differed from his English counterpart Ruskin, as he often replaced the work of mediaeval stonemasons. His rational approach to Gothic stood in stark contrast to the revival's romanticist origins. Throughout his career he remained in a quandary as to whether iron and masonry should be combined in a building. Iron had in fact been used in Gothic buildings since the earliest days of the revival. 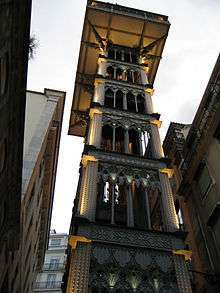 It was only with Ruskin and the archaeological Gothic's demand for structural truth that iron, whether it was visible or not, was deemed improper for a Gothic building. 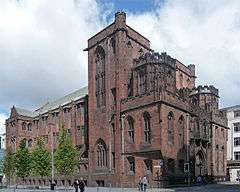 The Gothic style dictated the use of structural members in compression, leading to tall, buttressed buildings with interior columns of load-bearing masonry and tall, narrow windows. But, by the start of the 20th century, technological developments such as the steel frame, the incandescent light bulb and the elevator led many to see this style of architecture as obsolete. Steel framing supplanted the non-ornamental functions of rib vaults and flying buttresses, providing wider open interiors with fewer columns interrupting the view. Some architects persisted in using Neo-Gothic tracery as applied ornamentation to an iron skeleton underneath, for example in Cass Gilbert's 1913 Woolworth Building skyscraper in New York and Raymond Hood's 1922 Tribune Tower in Chicago. 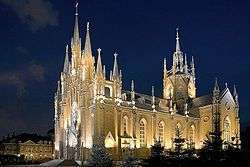 But, over the first half of the century, Neo-Gothic became supplanted by Modernism. 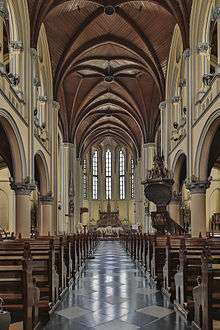 Some in the Modern Movement saw the Gothic tradition of architectural form entirely in terms of the "honest expression" of the technology of the day, and saw themselves as the rightful heir to this tradition, with their rectangular frames and exposed iron girders. By 1872, the Gothic Revival was mature enough in the United Kingdom that Charles Locke Eastlake, an influential professor of design, could produce A History of the Gothic Revival, but the first extended essay on the movement that was written within the maturing field of art history was Kenneth Clark, The Gothic Revival. An Essay, which appeared in 1928. ↑ W. D. Robson-Scot, The Literary Background of the Gothic Revival in Germany. ↑ I. D. Whyte and K. A. Whyte, The Changing Scottish Landscape, 1500–1800 (London: Taylor & Francis, 1991), ISBN 0-415-02992-9, p. 100. ↑ Kyles, Shannon. “Gothic Revival (1750-1900)”. OntarioArchitecture.com. http://www.ontarioarchitecture.com/gothicrevival.html. ↑ Encyclopædia Britannica Online, s. v. "Gothic Revival," accessed 8 October 2013, http://www.britannica.com/EBchecked/topic/239789/Gothic-Revival. ↑ Victoria and Albert Museum The world’s greatest museum of art and design. “Style Guide: Gothic Revival”. http://www.vam.ac.uk/content/articles/s/style-guide-gothic-revival/. ↑ In Montreal, Canada, the earlier neo-Gothic Basilica of Notre Dame (1842) belongs to the Gothic Revival exported from Great Britain. ↑ The choice of the canonized wife of King Clovis was especially significant for the Bourbons. ↑ The importance of the Cologne completion project in German-speaking lands has been explored by Michael J. Lewis, "The Politics of the German Gothic Revival: August Reichensperger". ↑ "Stadhuis" (in Dutch). City of Mechelen. Retrieved 18 July 2011. ↑ "Stadhuis met voormalige Lakenhal (ID: 3717)". De Inventaris van het Bouwkundig Erfgoed (in Dutch). Vlaams Instituut voor het Onroerend Erfgoed (VIOE). Retrieved 24 July 2011. ↑ G. Stamp, "The Victorian kirk: Presbyterian architecture in nineteenth century Scotland", in C. Brooks, ed., "The Victorian Church: Architecture and Society" (Manchester: Manchester University Press, 1995), ISBN 0-7190-4020-5, pp. 108–10. ↑ A. Jackson, The Two Unions: Ireland, Scotland, and the Survival of the United Kingdom, 1707–2007 (Oxford: Oxford University Press, 2011), ISBN 0-19-959399-X, p. 152. ↑ L. Hull, Britain's Medieval Castles (London: Greenwood, 2006), ISBN 0-275-98414-1, p. 154. 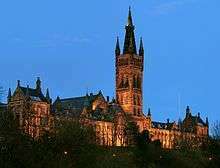 ↑ M. Glendinning, R. MacInnes and A. MacKechnie, A History of Scottish Architecture: from the Renaissance to the Present Day, (Edinburgh: Edinburgh University Press, 2002), ISBN 978-0-7486-0849-2, pp. 276–85. ↑ H.-R. Hitchcock, Architecture: Nineteenth and Twentieth Centuries (New Haven, Connecticut: Yale University Press, 4th edn., 1989), ISBN 0-300-05320-7, p. 146. ↑ "Augustus Welby Northmore Pugin (1812–52)". The Victorian Web. Retrieved 3 October 2008. ↑ Clark, Kenneth (1962). The Gothic Revival (3rd ed.). New York: Holt, Rinehart & Winston. pp. 173–4. LCCN 63012745. ↑ Eastlake, Charles (1872). A History of the Gothic Revival. London: Longmans, Green & Co. p. 141. Retrieved 27 October 2012. ↑ "American Gothic House Center | Home". Wapellocounty.org. 18 December 2009. Retrieved 11 June 2011. ↑ Тулешков, Николай (2007). Славинските първомайстори (in Bulgarian). София: Арх & Арт. ISBN 978-954-8931-40-3. ↑ Pearman, Hugh (13 March 2005). 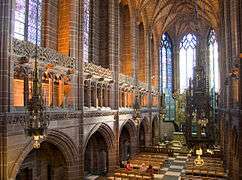 "Return of the Goths: the last Anglican cathedral is nearly finished. And built to last 1,000 years.". Gabion: Retained Writing on Architecture. Hugh Pearman. ↑ Mooney, Caroline (27 April 2008). "Architectural plans unveiled for church and campus complex over the next two decades". The Catholic Moment. Lafayette, Indiana. ↑ "St. John Vianney Fishers, Indiana". HDB/Cram and Ferguson. Retrieved 3 October 2008. Gretchen Towsend Buggteln, Temples of Grace: The Material Transformation of Connecticut's Churches, UPNE, 2003. ISBN 9781584653226.